Lunula Laser – The 1st and Only Non-Thermal Laser, FDA Cleared to Target Onychomycosis. Prior to opening his private practice in 2000, Dr. Silverstein received an education from Syracuse University where he graduated with a Bachelor of Science degree in biology. With hopes of becoming a podiatrist, he continued his education at the William M. Scholl College of Podiatric Medicine in Chicago, Illinois, and completed his surgical residency training at Sinai Hospital of Baltimore. 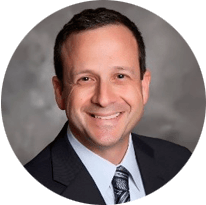 Dr. Silverstein is the Division Head of the Podiatry Section, Department of Surgery at Harford Memorial Hospital, and he’s board certified by the American Board of Foot and Ankle Surgery. Well-known throughout the area, he’s also had his work published and frequently lectures at various hospitals and local community organizations.